So what was Ridley Scott’s original Alien really about? Stripping apart sci-fi elements and observing its bare bones structure, you’re left with a caged exploration team encountering a vicious beast. Not so different from a safari expedition about curious man Vs. brutal nature. Only it’s set in space, where no one can hear you scream, humans are represented by Sigourney Weaver’s Ripley, and the alien itself is an unstoppable force of nature - something that starts off small, like a parasite, and grows till it engulfs the fearful crew of the Nostromo along with its crumbling morale. There were no ‘Engineers’, no ship called Prometheus or David the psychologically-dented android. There were just a few unprepared humans and a clever - but not savvy - android called Bishop, a piece of artificial intelligence representing humankind’s over-dependence on technology. Bishop contrasts heavily against Ripley’s powerful feminine ingenuity that ultimately proves to be the only suitable weapon against the alien. What made Alien truly frightening were the twin evils of helplessness and isolation, compounded by human curiosity to peek a boo in the wrong direction. So little of the H.R. Giger designed monster was seen that the audience veered towards getting a greater glimpse of the beast and rooting for its victims’ survival. Its inexplicable origin was never in question. All we knew is that it came from an egg in the form of a face-hugger, deposited itself as a parasite, emerged horrifically as a small creature and grew to unimaginable proportions within hours. It was the ultimate definition of an extraterrestrial terror from another world - unknown, mysterious, dangerous, and above-all, unreasonable. Oh, and it bled acid. The stuff of nightmares need not have further explanation to worsen its crippling effect on the human psyche. And it most certainly required no elaborate origin story to make it any more frightening. What could be worse than one alien? James Cameron’s 1986 sequel aptly titled Aliens succeeded in developing the myth of the beast further by multiplying it into a horde. Cameron contrasted this extra-terrestrial infestation against innocence in the form of Newt, the child and only survivor of a colony on the moon LV-426. The theme this time around wasn’t just survival; it was motherly instincts Vs. motherly instincts, nature Vs. nature, love and self-sacrifice Vs. hate and revenge. For the first time in the Alien canon there was a sense of empathy for the creature while simultaneously wanting it blown to bits. We know the alien queen experiences emotions and it exploits Ripley’s feelings towards Newt to full advantage. What’s worse than a giant killer insect that strategises your emotions against you? In the 1970s and 80s, FX were confined to in-camera special effects with lesser dependence on post production effects. This is a complete overhaul to modern day reliance on CGI. Film makers back in the day were forced, if that is indeed the right word, to elaborate narration through clever storytelling, sub-plots and brilliant performances. Thus Alien and Aliens were far more than science fiction or horror; they were powerful myths, no less than mythologies about what makes us human against a cold, hostile universe. They also gave us one of Sigourney Weaver’s finest performances and heralded the all-powerful female hero at a time when the film world was obsessed with Schwarzenegger and Stallone. Ripley felt fear, anger, love, courage and when she rose to the occasion she was a hurricane in motion. We experienced what she felt as the alien, a massive thorn in her side, sank deeper and deeper into flesh till forced excision was necessary. We have Ridley Scott to thank for this classic ideology and it's epic execution. And this is primarily why Prometheus (2012) and Alien Covenant (2017), both helmed by Scott himself, fail miserably. Instead of developing the credo that defined Scott’s original concept as Cameron did, the prequels take us on a journey no one is interested in. Deconstructing fears leads to the death of suspense, exposing danger triggers the demise of mystery, and casting a spotlight on mythical archetypes draws an end to awe. Prometheus itself was not a bad movie. It raised interesting questions about humanity’s origins, whether we are, as a species, a by-product of molecular randomness and chaos or deliberately engineered by superior beings. The plot assumes the latter and scoots off to find cosmic bread crumbs that lead us to the Engineers who designed our DNA. Somewhere along the way, the story loses credibility and jumps into horror/slasher mode. With the Alien concept thrown in, we regrettably learn that our xenomorph nemesis were mere biological weapons designed by the same Engineers who ‘made’ us. We also learn that David the android, played to perfection by the brilliant Michael Fassbender, has ulterior motives. As the feature concludes, Dr. Elizabeth Shaw, essayed by Noomi Rapace, blasts off with David’s decapitated head towards the Engineers’ home planet. Whether the Alien ethos ever belonged to the tangential plot of Prometheus, or if Scott’s newfound fascination with human origins was a poor attempt in masquerading off the strength of the original storyline, are fair doubts to raise. Although it is unlikely that when he conceived Alien back in the late 1970s, he also conceived its backstory. 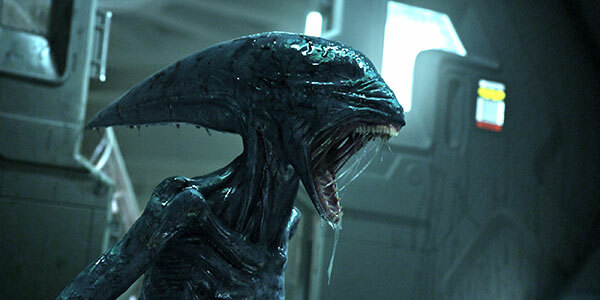 Prometheus raised confusion and criticism, with some debating if it really was an Alien-film at all. Scott pressed forward by talking about a Prometheus sequel that would explore the Engineers’ home planet through Shaw’s next adventure. And yet, that was not meant to be. Five years later when Alien Covenant followed with clear indications that the sequel will largely abandon the Engineers and become a prequel to the original Alien, fans were ecstatic. Not just because the unfortunate Prometheus plot was discarded, but because Scott was once again helming a ‘proper’ Alien story. The maestro was finally back to the genre he helped create. So what went horribly wrong? We have a small crew carrying two thousand colonists in cryostasis along with a few thousand human embryos to a suitable, hand-picked planet. We later understand from David that the human race is a dying specie and colonising other planets with the help of technology and artificial intelligence, that is clearly more advanced than their own creators, is all we humans have going for us. A random neutrino blast and a chance broadcast signal later, the crew is led to the Engineers’ idyllic home planet, where horrors unmentionable await. The problem isn't the plot per se, it's the devil in the details. Why would a crew on such an important mission forsake their goal in favour of an unclear signal playing a John Denver song? As experienced explorers why are they so confused about making a note of the situation, redirecting the signal for help and moving on with their mission? Scientists and astronauts are trained to make logical decisions, especially when adverse situations demand mission-critical focus. Even Nicholas Cage makes better choices in Jerry Bruckheimer movies. When Alien Covenant begins with such a gaping hole in its plot, it's a foreboding sign of worse things to come. Once on the planet, where the real story commences, an airborne biological weapon takes effect mainly because the script failed to caution the actors about wearing space helmets. Parasites are then deposited into some of the expendable crew members and you immediately know who they are because there's a cocky overconfidence to them that invites horrid death. Evidently, these are the usual stereotypes to bite the dust in B-grade horror flicks and dodging predictability or using common sense weren’t priorities in this script. Said characters spawn alien creatures in creative ways, a paler human-hybrid called neomorphs. Now this could be remarkably interesting to explore as we haven’t seen these creatures in the Alien universe before. Instead, they are treated as faceless slasher demons, propelling the expendable crew to seek refuge inside a fortress, which should aptly be named David’s House of Horrors. Here it is revealed that David lost his electric mind, killed Shaw and the entire planet of Engineers with their own bio-tech and dedicated himself to further enhance this killer weapon. Effectively, if the Engineers are the fathers of the alien creatures, David is their plastic surgeon. We have no clue why, except a silly exposition about how an android’s immortality lends superiority over human mortality. The last act provides no suspenseful revelations you haven't already seen coming a light year away. Unresolved confusions from Prometheus continue and not even the final burning question is answered: why was this film ever was made? What we are left with in the final scene will be the opening of the next unwanted sequel in this prequel franchise. As an aside, you do wonder at the writers and director’s decision to have the crew consist of couples. At present day NASA it would be unlikely that a space mission would engage a couples-only crew unless it so happened that each scientist were irreplaceable experts in their chosen fields. This isn't a couples night out in space - it’s a highly valued, dangerous and critical mission through deep space. How is it expected of them to make logical, rational decisions when they are emotionally compromised from the word go? When you hire an excellent cast, expectations naturally ascend. James Franco, Billy Crudup, Katherine Waterston, Guy Pearce and that genius Fassbender. And yet, Franco is cooked in his pod within fifteen minutes of the film’s opening. Perhaps he was cast because no other actor looked as good sleeping in a cryo pod. Waterston is a good, fine actor but Daniels, her character, simply lacks the emotional and practical depth required to evolve into a combatant for Alien Covenant. Wearing a vest does not make a Ripley. And keep in mind, Ripley herself was good at her space job; a tough personality and problem-solver. Having lost her lover, Daniels is the grieving astronaut and her profession isn’t really tied into the plot. She could be the janitor in a Ripley-wig for all we care. Billy Crudup’s Oram has to be the worst of the lot. A whiny, bratty, sweaty insecure man bumped up to the role of captain who has no genuine reason to be lacking confidence. His horrible insecurities seem contrived to give the character layers. The bored writers must have taken turns to roll the dice that picked his backstory. Weyland is wonderfully played out by the ever-brilliant Guy Pierce. In a simple opening sequence he craftily establishes his own failings as well as humanity’s in what could very well one day become an apocalyptic blunder: the birth of artificial intelligence. Too bad we don’t see Weyland again, he shall be missed. One Michael Fassbender is good. Two could be better…. Except it isn’t. Fassbender plays David, the sole survivor of Prometheus and Walter, the synthetic on board the Covenant. One evil, one good. Two brothers destined to lug it out till only one remains. But why? What is the need for this digital sibling rivalry that only makes us wonder how the older model lost his marbles in the first place? Another question is also thrown up: Walter is superior in design and build to David, and yet Bishop, who follows 18 years later in the Nostromo, is somehow inferior to both. It feels as if the script was surgically fine-combed to remove logic from it. The aliens themselves lack substance. They appear for slasher value; only to kill here, shred there. Where is the fear factor, awe and majesty of beholding the great beast we encountered in Alien and Aliens? This is the essence of all nightmares and yet it frightens no more. The CGI spawn from hell has lost its charm not because of VFX evolution, but due to lack of tension build-up in the shoddy script and the unnecessary revelation of its origin. Perhaps we would be more forgiving if this weren't a Ridley Scott film. Even less painful if it weren't an Alien film (the monsters could be substituted with n number of creatures Hollywood has no dearth in producing). Then, it would be an okay film, definitely watchable to Netflix and chill or to prime on Amazon. Where the audience is cheated is the one place where it hits the hardest: expectations from Sir Ridley Scott and the Alien franchise. It is true then, in space, no one can hear you yawn.